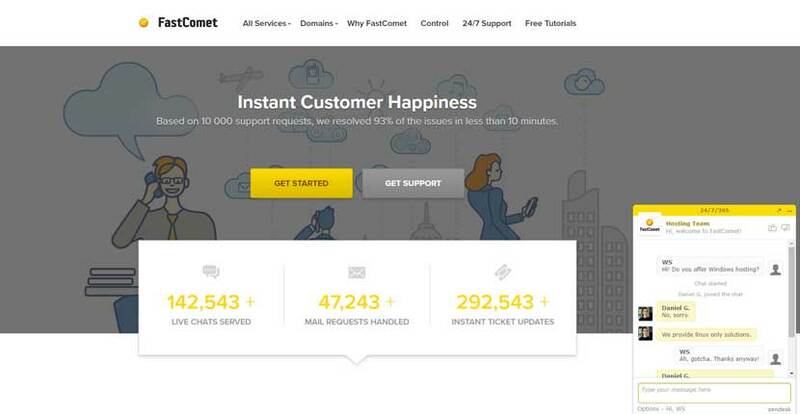 FastComet Review 2019: Is FastComet a Good Hosting? 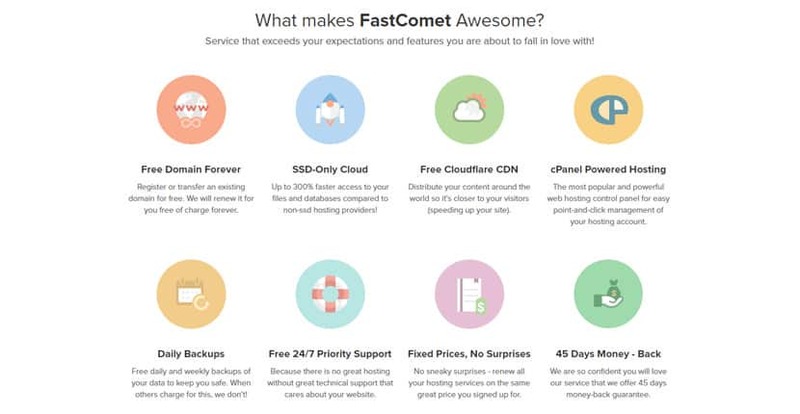 FastComet provides all-in-one hosting solutions with all the CMSes and performance-enhancing software you’ll need. It can also easily cater to customers anywhere in the world with its globally-positioned data centers. First launched in 2013, FastComet is an American-based business selling a good selection of speed-optimized web hosting services. While a relatively young company, FastComet already has more than 45,000 customers from 83 countries. Services and support are available in English only. When purchasing a hosting plan, users can choose from servers located in multiple data centers worldwide such as in Chicago, Dallas, Newark, London, Amsterdam, Frankfurt, Singapore, and Tokyo. FastComet uses 100% SSD storage, meaning that when compared to traditional HDDs, you can access files and databases up to 300% faster. The shared hosting plans are incredibly feature-packed. For instance, they come with a premium one-click installer for over 300 programs, support for PHP versions 5 through 7.2, and support for advanced coding languages such as Python, Node.js, and Perl. You’ll get SSH access, MySQL and remote MySQL databases, an FTP manager, and cron jobs. Security is similarly impressive with CageFS virtualization, BitNinja server protection, two-factor authentication, and many more protective measures. FastComet doesn’t provide a free website builder with its packages, but it does offer you a discount to purchase one with all plans. Unfortunately, FastComet doesn’t provide any sort of uptime guarantee with their hosting. However, the company claims that its proactive monitoring eliminates 99% of all hosting issues before they cause any disruption in service, and my tests of FastComet’s service revealed zero downtime for the past several months. The terms of FastComet’s web hosting plans are exceptionally generous with a 45-day money back guarantee. The company also helps you with website migrations for free and gives you 24/7 priority support with any plan. Fixed prices also means you won’t get a shock when renewing your plan — whichever rate you purchased at initially, you’ll be locked in at that rate for life. The packages are not cheap but offer great value considering all of the features and resources they include. FastComet only provides annual contracts, though you can cancel at any time without penalty. Both SSL certificates and domain registration come included with shared hosting packages. Customer service is also very good. You can reach them via 24/7 live chat, telephone, and email, or check out a help center that contains lots of tutorials. Every time I’ve contacted them on live chat, I was connected with an agent almost instantaneously — even at odd hours of the day. They also boast an average issue resolution time of ten minutes, which is impressive to say the least. It’s very hard to come up with any obvious issues using FastComet. It’s got great uptimes (99.96% and up), almost flawless support, global data centers, and generous software bundles. It also provides a decent range of hosting services, so you can safely scale your business with the company. All in all, this is one of the best hosting companies around. Wondering how FastComet stacks up against other Web Hosting companies? Enter any other Web Hosting company and we will give you a side-by-side comparison.